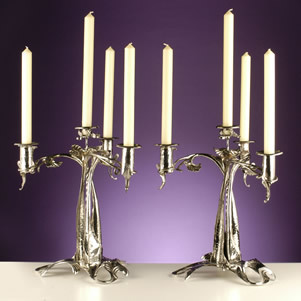 A pair of highly polished candelabrum with three outer and one central candleholder with removable sconces. 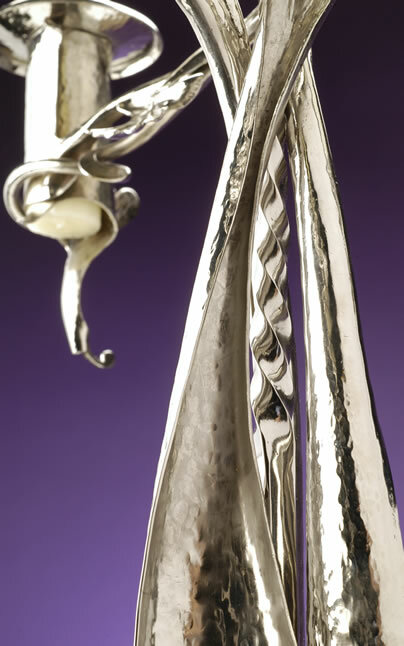 Hand made and formed in stainless steel using lead block, stake work and repoussé techniques. Size 460mm high x 380mm wide.